Safety is our concern , We only have one life . As per Ordinance no. 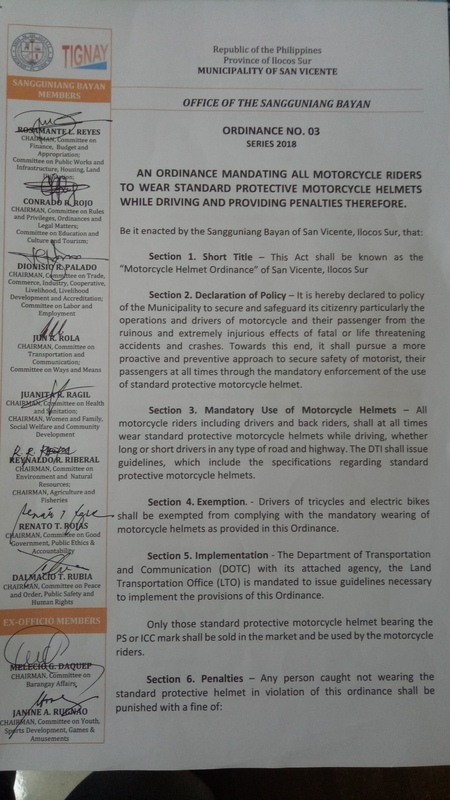 08 series of 2018 or the Motorcycle Helmet Ordinance of this municipality , all motorcycle riders including the drivers and back riders shall all times wear standard protective motorcycle helmets while driving whether long or drives in any type of road and highway. Drivers of tricycle and electric bikes shall be exempted from complying with the mandatory wearing of motorcycle helmets as provided of this Ordinance. 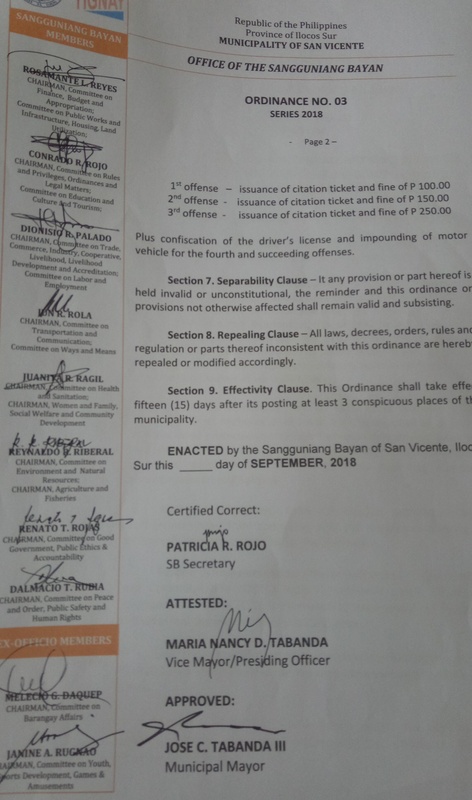 plus confiscation of the driver’s license and impounding of motor vehicle for the fourth an succeeding offenses.